This is really good fudge and there's nothing to it. I doubled the recipe and put it in a 9x13" pan so I wouldn't mind giving a lot of it away. That logic didn't end up working because honestly, it's so good I do mind giving it away! The recipe comes from chocolate genius Lora Brody's cookbook Chocolate American Style, which I just spent the past weekend studying in depth. 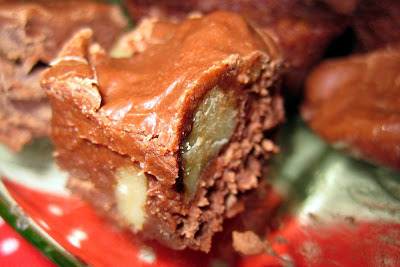 I've marked about a dozen pages of things to try, and this fudge was first on the list. 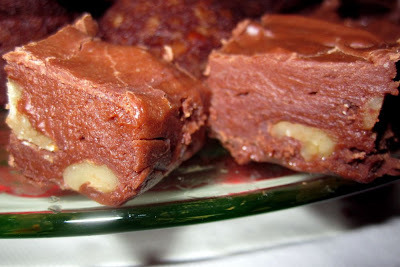 It makes a great homemade gift because, first of all, who doesn't like fudge, and second of all, it has a long shelf life so you can make it days in advance of your gift-giving and the recipient doesn't have to eat it all at once. Go to Michaels craft store or other creative supply shop and buy some goodie boxes, cute ribbon, stickers, and perhaps paper cup liners, and make a fun project out of decorating the fudge gift boxes. Generously butter an 8-inch square baking pan. Line the pan with enough aluminum foil to overlap two opposite sides of the pan by 2 inches. Butter all the foil that touches the bottom and sides of the pan. 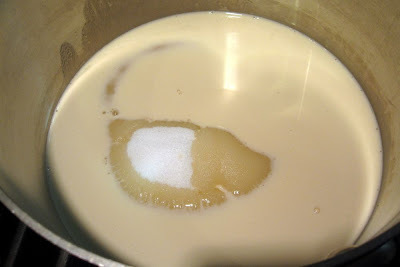 Place the sugar and evaporated milk in a 2-quart saucepan and set it over medium heat. 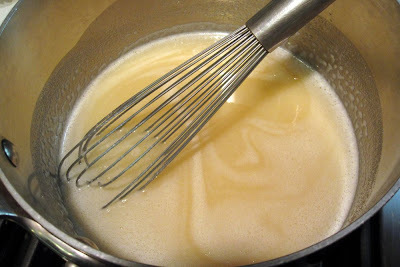 Stir constantly until the sugar dissolves and the mixture starts to simmer. 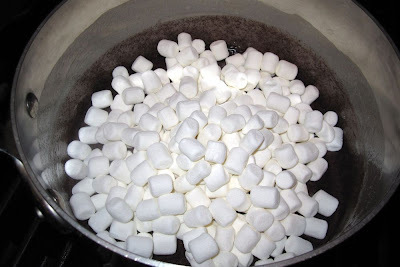 Allow the mixture to come to a slow boil, and cook it for 5 minutes, stirring constantly. 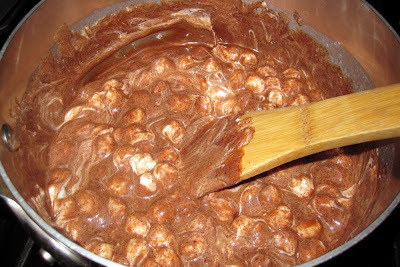 Stir well around the bottom of the pan so that the mixture doesn't burn. 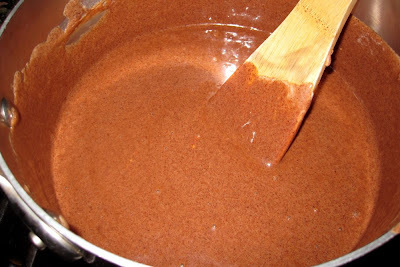 Remove the saucepan from the heat and add the unsweetened chocolate. Stir until the chocolate melts. 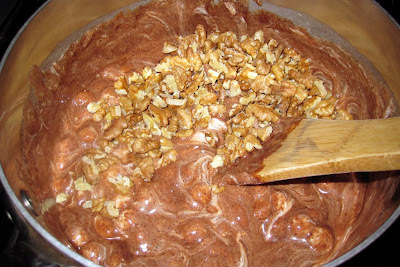 Add the marshmallows and nuts and stir until the fudge begins to cool and thicken. 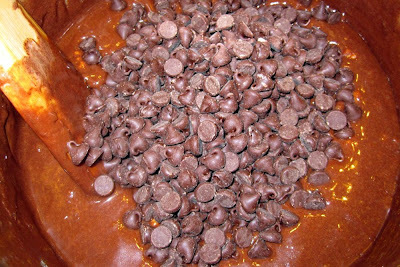 Stir in the chocolate chips and pour and scrape the mixture into the prepared pan. 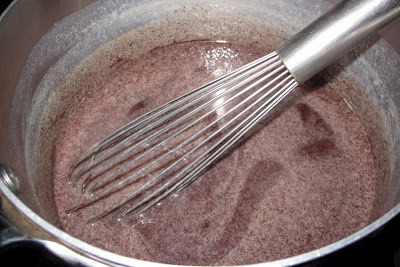 Press the mixture into the pan and allow it to cool until firm. Unmold the fudge onto a cutting board. 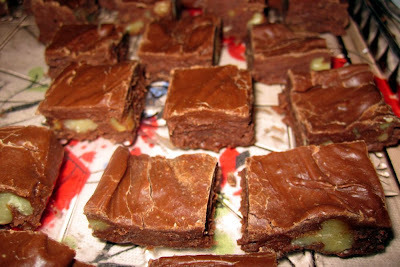 Peel off the foil and use a long, sharp knife dipped in hot water and dried to cut the fudge into portions. 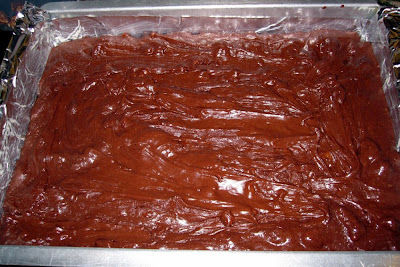 The fudge can be stored in an airtight container at room temperature for several weeks. We love this recipe! It's so creamy and love the added mini-marshmallows, nuts, and chocolate chips. Dad doesn't want to share them either so it looks like I'll be making a batch especially for him! Ooh, I want this fudge now! Must make this! So perfect for my little Jane, too, who can't have wheat and is therefore missing out on a lot of the Christmas cookies. Mom - haha that's soooooo funny! Lucky Dad to get his own giant pan of fudge. Deborah - You're right, this is a great alternative to cookies, especially for gluten-free needs. You could skip the nuts if Jane doesn't like nuts, or maybe add M&Ms at the end instead.